Freda Muyambo is a former writer for The Spruce, contributing articles and recipes for two years. 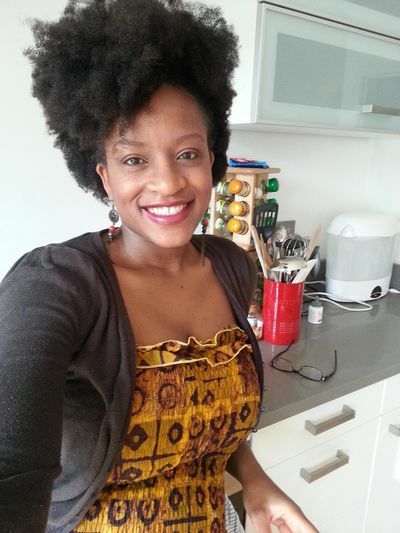 She is is an African cuisine enthusiast, food writer, and home cook. She has lived in Botswana, London, and Nigeria. Freda comes with an interesting twist in her cultural identity. She often describes herself as a Pan African in pursuit of mastering the art of the African pan. Freda identifies herself with several African countries, having intimate knowledge of the food cultures of Ghana, Botswana, and Zimbabwe through parentage, birthplace, and marriage respectively. She learned cooking alongside her mother, who was a food and nutrition teacher for over 35 years. Freda started her blogging journey in 2010 as a regular contributor to a blog covering topics on African culture, travel, and development issues. In 2011, she shifted her focus to African cuisine. Her work has been recognized in various publications such the Guardian, the African Economist and a feature in West Africa's Arik airlines magazine. Freda holds a Bachelor of Engineering in Electrical Engineering from the Royal Melbourne Institute of Technology, Australia, and a master's degree in Construction Economics and Management from University College London in the United Kingdom. She also considers herself fortunate to be able to receive first-hand informal education in African food culture from her community. In 2013, her blog, My Burnt Orange, was listed as one of Africa's 10 best food blogs by the African Economist where she was highly commended for the utilization of videos as a method of instruction. In 2015, CNN Travel named her as one of five African food bloggers you need to start following. Her articles and recipes have also appeared in Radiant magazine and The Guardian.